Publisher’s description: On a small island in a glacier-fed lake on Alaska’s Kenai Peninsula, a marriage is unraveling. Gary, driven by thirty years of diverted plans, and Irene, haunted by a tragedy in her past, are trying to rebuild their life together. 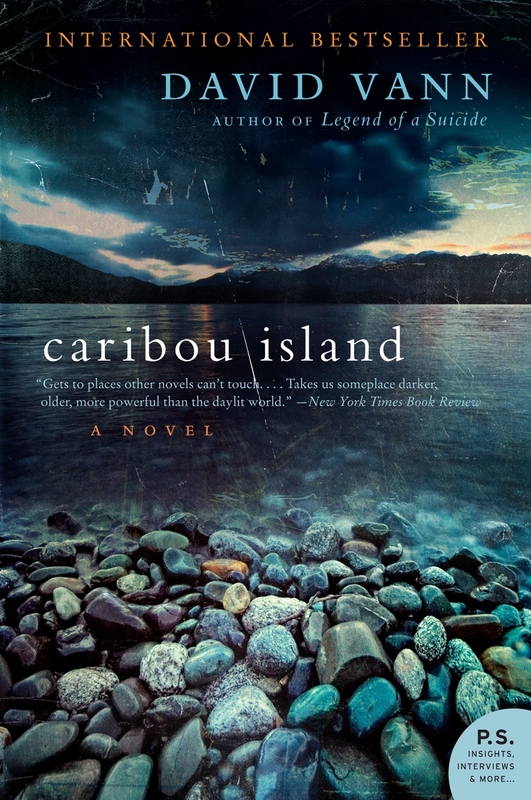 Following the outline of Gary’s old dream, they’re hauling logs to Caribou Island in good weather and in terrible storms, in sickness and in health, to build the kind of cabin that drew them to Alaska in the first place. But this island is not right for Irene. They are building without plans or advice, and when winter comes early, the overwhelming isolation of the prehistoric wilderness threatens their bond to the core. Caught in the emotional maelstrom is their adult daughter, Rhoda, who is wrestling with the hopes and disappointments of her own life. Devoted to her parents, she watches helplessly as they drift further apart. Brilliantly drawn and fiercely honest, Caribou Island captures the drama and pathos of a husband and wife whose bitter love, failed dreams, and tragic past push them to the edge of destruction. A portrait of desolation, violence, and the darkness of the soul, it is an explosive and unforgettable novel from a writer of limitless possibility. On 24 “Best Books of the Year” lists: Washington Post, El Pais (Spain), National Post (Canada), New Zealand Listener, Daily Mail (UK), Anchorage Daily News, Juneau Empire, New York Times Editor’s Choice, France Culture and Telerama, The Millions, Kobo’s top eBooks, The Australian,The Guardian (UK), Los Libreros Recomiendan (Spain), Go Mag (Spain), El Corte Ingles (Spain), Los Libreros Recomiendan (Spain), Vogue UK, The Times, The Daily Beast, Les Inrockuptibles(France), Sudwestrundfunk Bestenliste (Germany). Being made into a film by two-time Academy Award winning director Bill Guttentag. Read on BBC Radio 4’s Book At Bedtime for two weeks. Winner of Le Prix de la librairie Nouvelle de Voiron (local bookstore prize in France), 2011. Flaherty-Dunnan First Novel Prize finalist (Center for Fiction), 2011. Prix du Roman Fnac, #2 (France), 2011. Prix Lire & Virgin, finalist (France), 2011.
International IMPAC Dublin Literary Award 2013, longlisted. Selected by the Samlerens Bogklub in Denmark. Selected by the Guardian Book Club in February 2015. Foreign editions: UK/Commonwealth (except Canada), French, German, Dutch, Spanish (Castilian), Catalan, Basque, Portuguese (Portugal), Portuguese (Brazil), Italian, Romanian, Turkish, Danish, Norwegian, Swedish, Finnish, Czech. KCRW Bookworm interview with Michael Silverblatt.